Sick of jumping off bridges and out of planes? 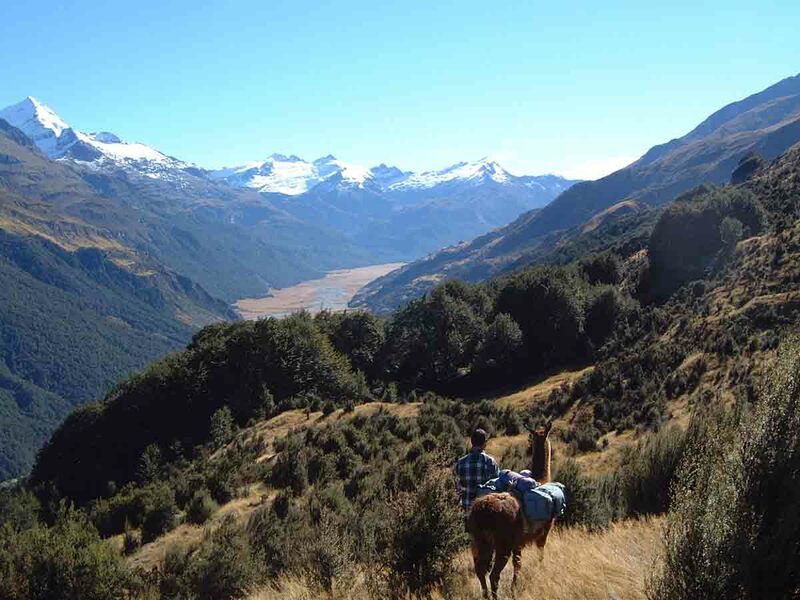 Try a sedate unimpeded trek through some of the most beautiful scenery in the world, aided by incredibly docile, gentle, gay, friendly and accomodating pack llamas. Trek times and distance can be tailor made to suit your needs. Gourmet catering available too. Allistair makes the best coffee in Glenorchy! A great alternative to the hyper adventure scene!